Apple IPhone Vs Samsung Galaxy Mobile Phones - Which? iPhone 8 or Galaxy S9? 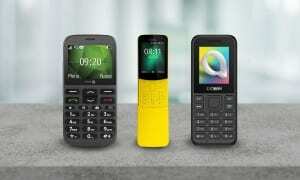 Find out which flagship mobile phone is best, and how the older models you can still buy stack up. Apple and Samsung are the titans of the smartphone world, but which is the best brand to go for? Here, we explore the battery life, camera quality and overall score of their key models. If you're looking for a high-end mobile phone, chances are you're considering the Samsung Galaxy S9 and S8 or the Apple iPhone 8 and 7. Both brands produce phones that are at the very expensive end of the market. The 64GB S9 costs £739 if you buy it outright, while the 64GB iPhone 8 costs around £699. 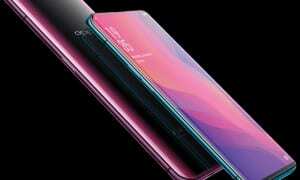 The S9 has a huge 5.8-inch edge-to-edge display, whereas the iPhone 8 is a more palm-friendly 4.7 inches. 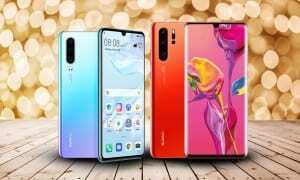 They both feature 12Mp rear-facing cameras, but our lab tests show that one phone performs better than the other - including far better battery life. 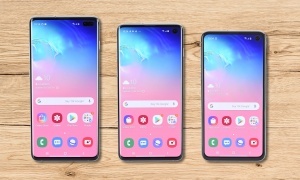 You can see reviews of the latest Samsung and Apple handsets lower on the page, but if you're still unsure of which model suits you best you can take our quiz to help you decide. Should you buy an Apple iPhone or a Samsung Galaxy? We've created a special custom quiz to help you choose your next smartphone - and it won't take any more than a few minutes to complete. Are you happy with a large handset? Are you happy to spend top-dollar for the most advanced product? Is expandable memory important to you? What do you value most in an operating system? Just want to read full Samsung and Apple reviews? Head to all of our Samsung mobile phone reviews and Apple iPhone reviews now. 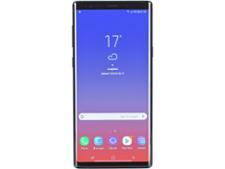 As the most expensive and most premium of all Samsung's 2018 phones, you'd expect the Note 9 to tick just about every box. It should also be the most capable of taking on every Apple phone on the market, but in reality, is this the case? 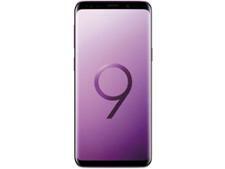 Samsung's new Galaxy S9, its latest high-end flagship smartphone, looks very similar to last year's Galaxy S8, but the manufacturer says that improvements have been made across the board. Are these changes enough to warrant spending more on the new model - or will last year's handset serve you just as well? And can it beat the latest iPhones? 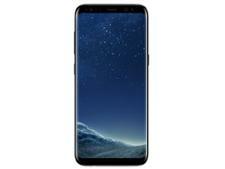 The Samsung Galaxy S8 was the most-talked-about mobile phone of 2017 with its 'infinity' display, upgraded cameras and Bixby voice assistant that set tongues wagging. It's dropped significantly in price since launch, but is it still a viable option against newer Apple and Android rivals? 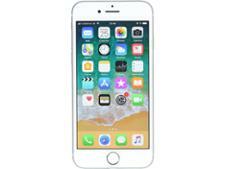 Is the new iPhone 8 really worth the hefty price tag? It has a glass rear for wireless charging and Apple promises better photos and videos. Before taking the plunge and spending a fortune, be sure to consult our results to make sure you're making a wise decision. 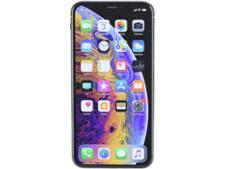 Apple's 2018 smartphone for those who like larger screens, the XS Max comes with an enviable array of features, including a large battery, plenty of storage options and fancy dual cameras. Whether these are enough to max out the test score, though, is what's really important. 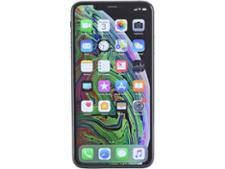 The iPhone XS is the 'middle' option from its 2018 line, intended as more of a direct replacement to the iPhone X. 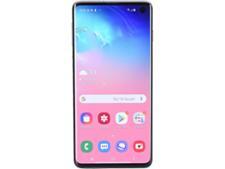 It needs to offer enough improvements to justify a higher price and ideally enough to take on Samsung and other Android rivals. Can it succeed? Each and every mobile phone that passes through our test labs is subjected to the same set of tough lab tests. This enables us to compare them side-by-side and tell you which are worthy of your money. You can use our test results to avoid slow phones that can't take decent photos, and instead spend your money on a good-quality model that won't constantly need recharging. We examine everything, including processor speed, screen and camera quality, battery life and call quality. Our tests are unique. For example, when testing how quick each phone is, we don't just use the industry-standard speed tests, but we also rate what it's like in everyday use. Our testers assess whether the phone is sluggish when swiping through menus and how quickly it opens web pages. All of these factors enable us to generate our star ratings and give each and every phone a score. We know a thing or two about mobiles phones after testing over 100 of them. Head to our mobile phone reviews to find the perfect model for you.